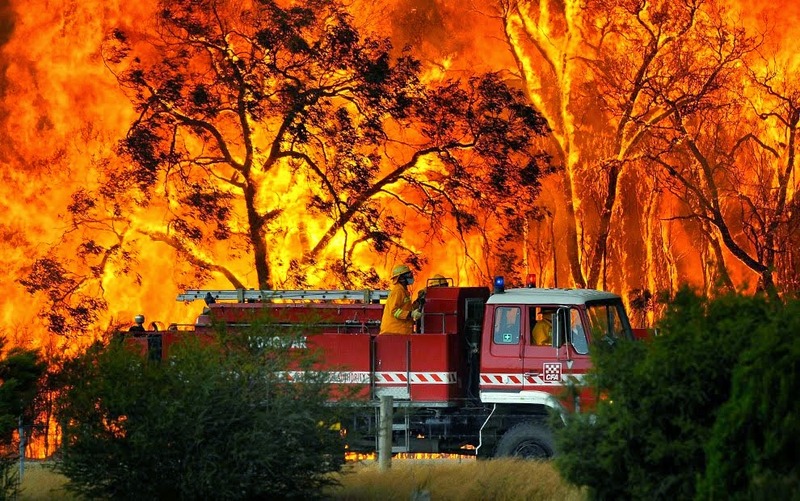 It is the middle of bush fire season in Australia, and research has just been released on the most efficient way to protect structures from fire attack. CSIRO bushfire urban design research leader Justin Leonard said the best way to protect homes against embers was simple – use materials that don’t burn. He said using a steel frame for the house was a good place to start, along with building materials like brick or rammed earth. Dr Weir said it was often complying with energy regulations that cost homeowners a lot of money, and many of the measures taken to keep a house energy efficient, like using rammed earth, would also keep it safe in a bushfire. He said bushfire-proofing elements such as toughened glass, window mesh and window shutters could also fulfill everyday roles such as fly screens or shades. “Bushfire prone areas are often really hot in summer but quite cold in winter…and a lot of the things you need to make a house thermally comfortable are also bushfire proof,” Dr Weir said. As a member of the Rural Fire service it would be good to see common sense prevail in respect of both building design and land clearing. Non combustible building materials would also have a big impact on house fires that claim more lives and houses than bush fires. Read the full story here.